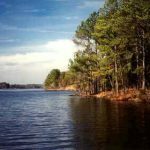 Fishing Creek reservoir is an amazing lake whose waters flow into Lake Wateree. The lake is interesting for both tourists and fishers. It is located near the Old English area of the state, where you can see a large number of historical and cultural sites. 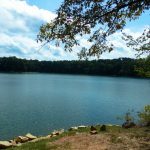 Fishing Creek reservoir is located along the banks of the Catawba River. The lake was created as an artificial reservoir for regulating river flows. There is a 1770-foot-long dam in the lake that has an important function of water regulation. The reservoir was built at the beginning of the 20th century. The building process of the lake began in 1916, during which a dam was created on the lake. 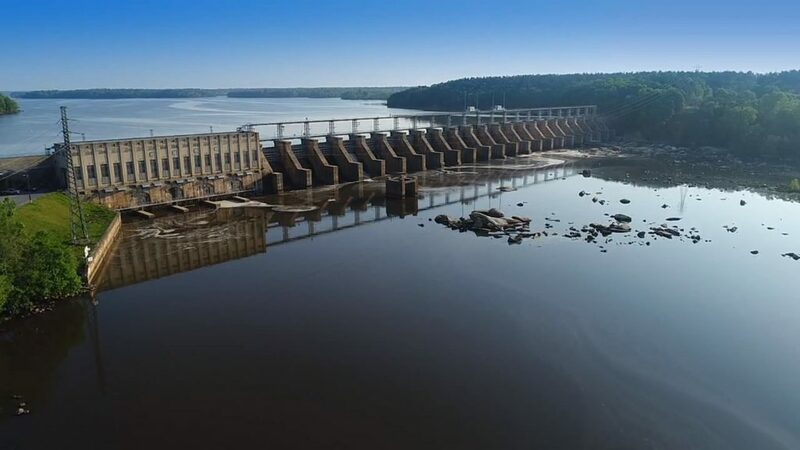 It provides the Duke Energy hydroelectric station. 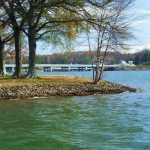 At the moment Fishing Creek Lake is one of 13 reservoirs, ensuring the smooth operation of the station. This lake is rich in wildlife and undeveloped territory. That is what attracts many tourists to come here. Fishing Creek Lake can be accessed from 4 entrances. You can visit it at any time of the year whenever you want. Admission is free for each visitor. 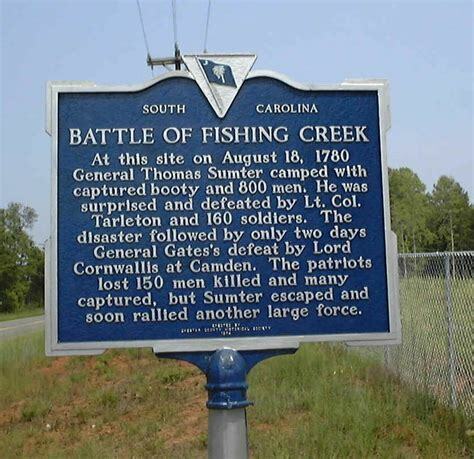 Fishing regulations are provided by the South Carolina Department of Natural Resources. You can catch fish, but you need to get a license. All information about this question can be found on the department website. Many species of fish inhabit the waters of the lake. Experienced fishermen can catch even a 12-pound large perch. White perch, bream, black crappie are the main species found here. On several sides of the lake, there are 5 fishing attractors. All of them are marked by buoys. The territory of the lake is very attractive for tourists and residents of this area. After all, it has not been built up with a large number of commercial real estate, retail shops, and restaurants. There is plenty of space, untouched nature and diverse animal life. 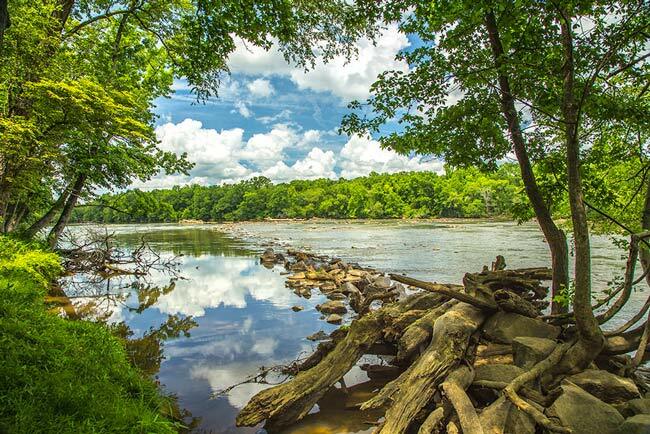 One of the favorite visitor parks is the Landsford Canal State Park. He spread 450 acres near the lake to the north along the Catawba River. There are beautiful monuments of culture and history in the park. The buildings of the 19th century attract the attention of tourists, allowing them to make wonderful photos. 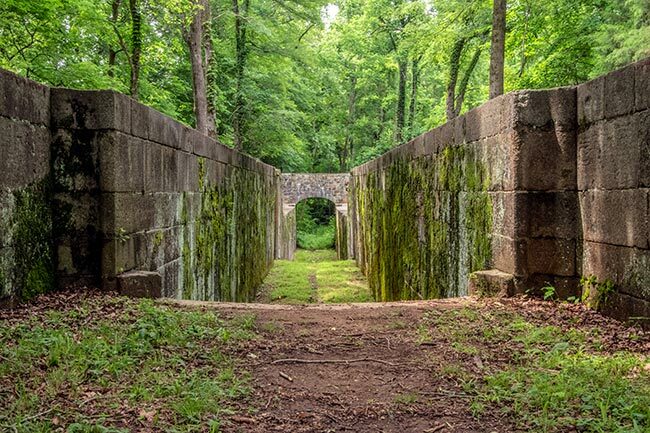 Landsford Canal State Park is open daily for visits from morning to the late evening. For adults, the cost of admission is $ 5, for children 3-3.25 dollars. Also here you can walk with pets if they do not threaten and disturb other visitors. 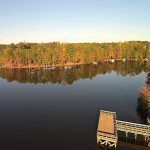 Edgewater Golf Club from the west side of Fishing Creek Lake provides open golf area and all the conditions for an unforgettable holiday. Lakes and surrounding areas are rich in nature and wildlife. You can come with family and friends for walks. In the undeveloped parts of the lake are found deer, swans, rabbits and wild turkey. 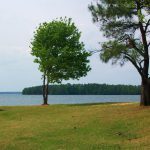 Fishing Creek Lake has many small bays and beaches where you can camp and set up a tent. Landsford Canal State Park provides boats for hire. Visitors can enjoy kayaking and canoeing up the lake. 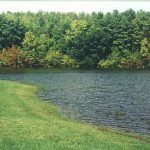 However, you need to be careful, because even the lake has a depth of 60 feet; the bottom in some places has high stumps. 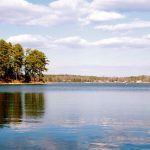 Fishing Creek Lake is located on Highway 21 and has convenient entrances from both the north and the south sides. Therefore, all tourists and those who want to come here will not be difficult to get to the lake by car. Unfortunately, on the lake you will not find campgrounds or small hotels to stay for a couple of days. But the places to spend the night and to stay for the weekend are 30 minutes away across the coastline. Therefore, you can safely come for the weekend and find a cozy place to sleep. There are also cafes and restaurants where you can come and enjoy tasty breakfasts and hot lunches. 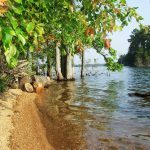 Since the territory of Fishing Creek Lake is not yet developed very well, the nearest cottages and houses for rent are located an hour away. This does not make this area of real estate less picturesque and less in demand. On the contrary, here you can find very affordable and comfortable accommodation. House prices start at 150-160,000 dollars. Having bought such a house you can take an advantage of all the services such as golfing, swimming pool and fishing. More expensive options are available for as low as $ 370,000. This is a great solution for lovers of beauty, comfort, and expensive interior. You will have access to a private pool, an open kitchen with a terrace and a fitness center. In general, the area of Lake Fishing Creek is very suitable for a quiet life among nature.